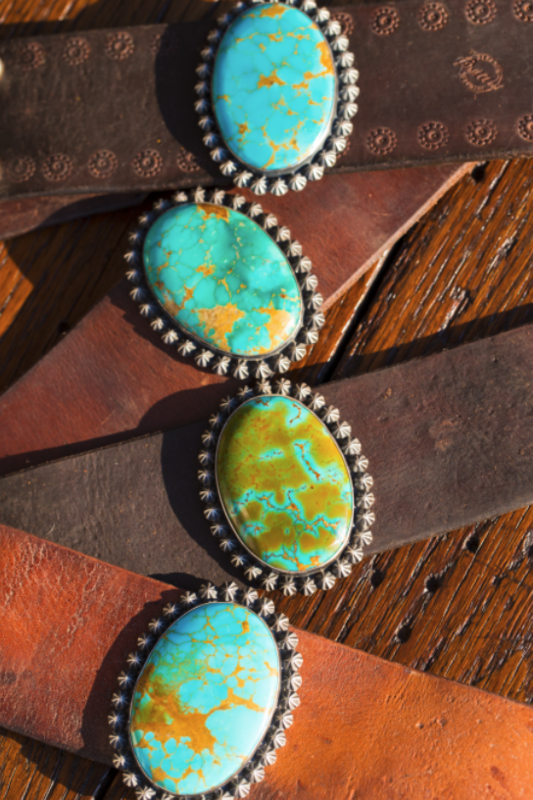 After many years of outfitting and ranching the West, I began collecting old high back saddles and studded parade bridles, intrigued with the dark, rich, vintage leather. 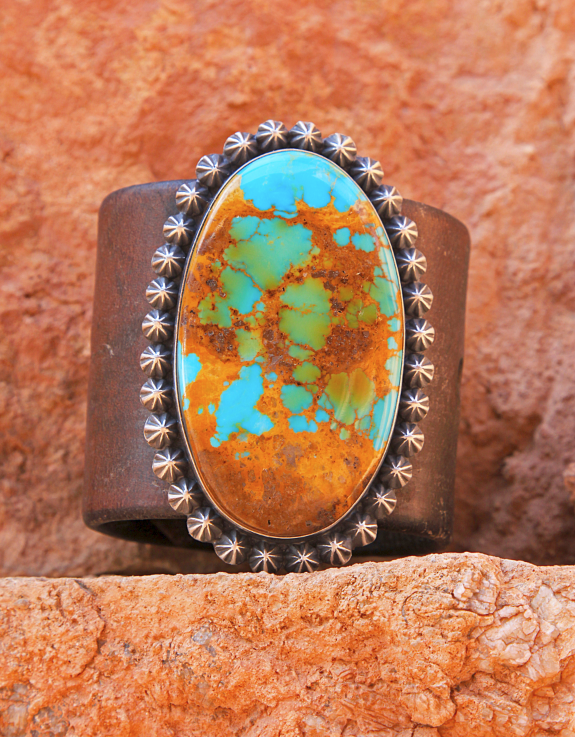 Out of this love sprang a creative, heartfelt journey that takes me to barns and saddle shops across the country, finding leather to design my cuffs, hatbands and belts. 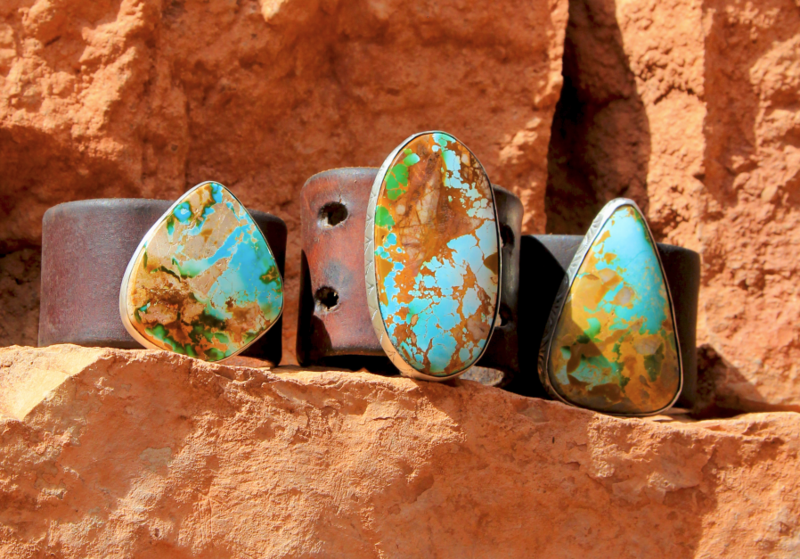 I personally pick gem quality turquoise from mines across the western U.S.A, and cut them to unique perfection. 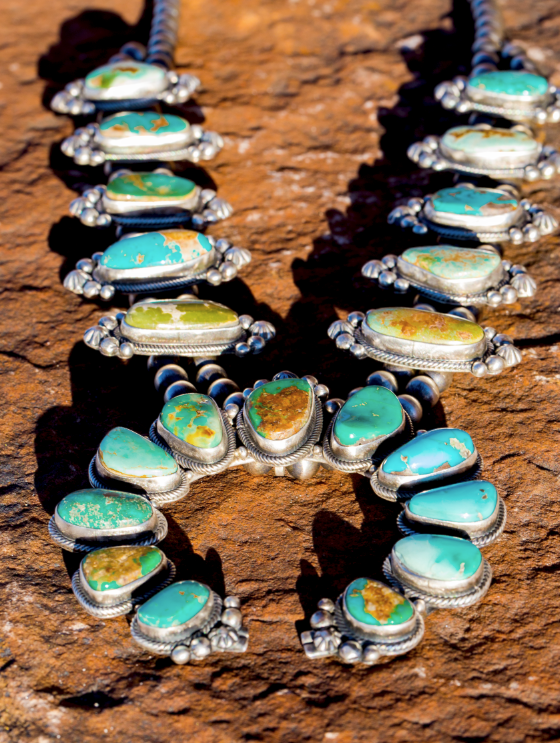 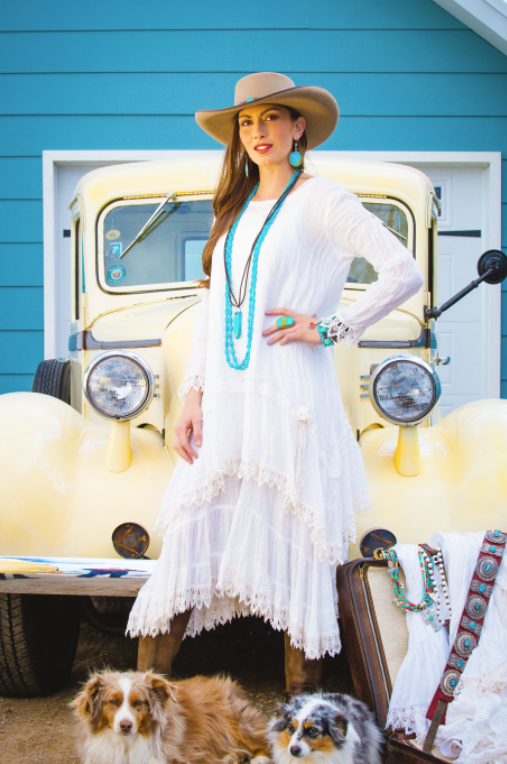 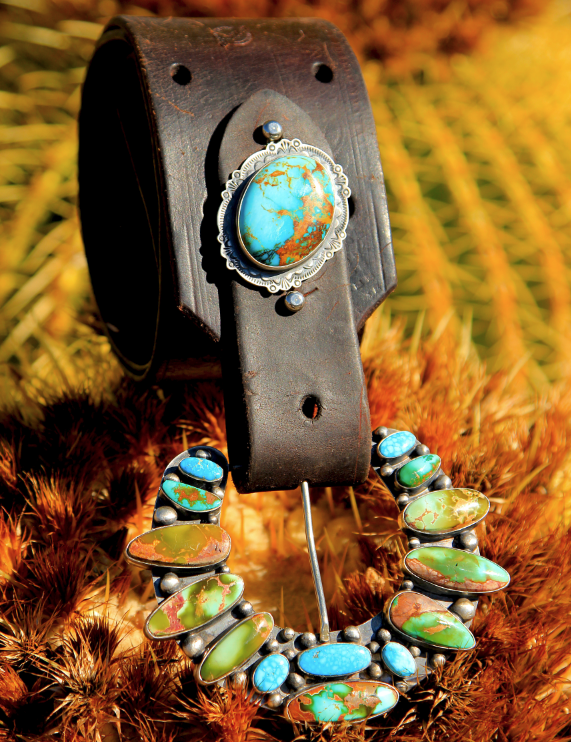 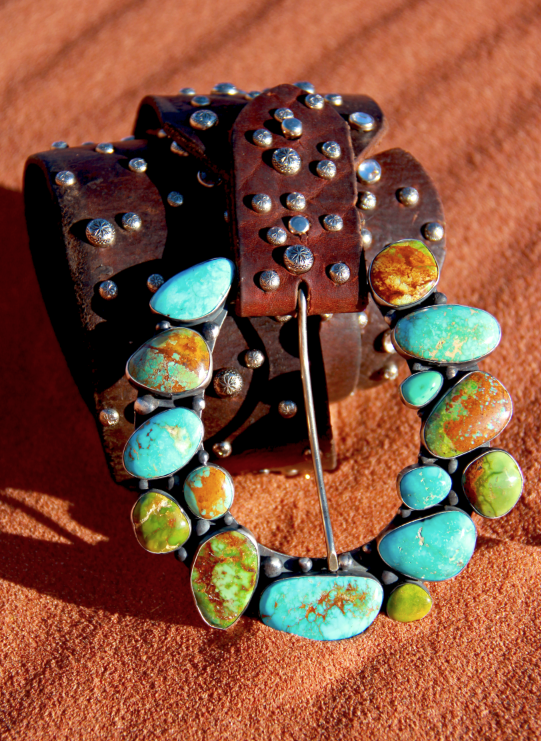 Brit West represents fine "Western couture" and museum quality, Native inspired jewelry. 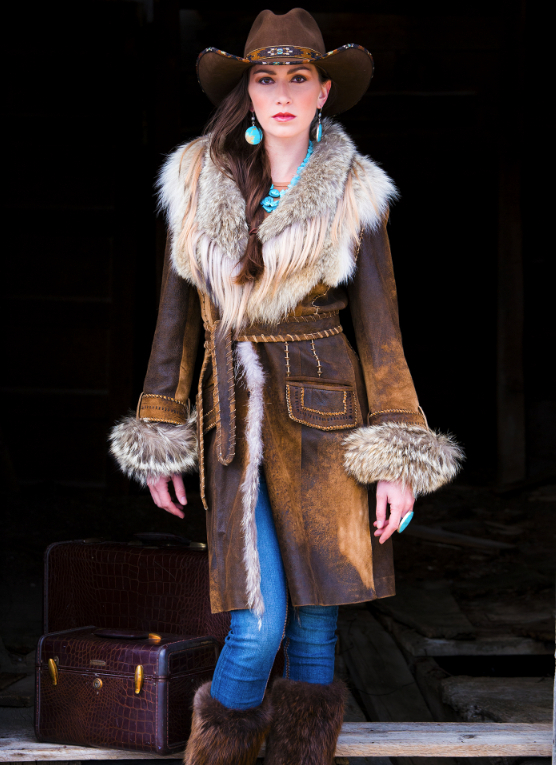 Visit us online, or check out our studio at Brit West Ranch in Tetonia, Idaho for a private styling session, and your next piece of "Wearable Western History!"